The Fire Protector large safe offers unrivaled protection to paper, data and cash in a larger capacity. 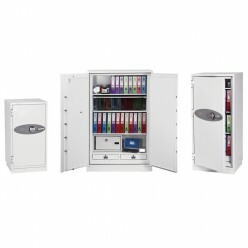 The Fire Protector Large Safe offers unrivalled protection for documents, data, and cash. It provides up to 2 hours protection in a fire for documents and up to 1 hour for digital items.